KOKOMO, Ind. – In one of the busiest times in Taylor High School athletic history, the program finds itself without a leader. On Jan. 22 – just as Taylor was hosting the boys and girls Howard County basketball tournaments, rescheduling multiple events due to snow and making arrangements to switch to a new conference – Athletic Director Karen Franklin abruptly resigned her position, effective immediately. Hartman said Franklin’s resignation was unexpected, but he had nothing but praise for the former educator. Franklin was hired as the Titans athletic director in August 2008. She arrived at Taylor following her retirement from Oregon-Davis High School, where she spent 32 years as a teacher and coach. Oregon-Davis is a small Class 1A school located in the north-central Indiana city of Hamlet. She was a health and physical education teacher, and at various times coached volleyball, gymnastics, basketball, track, cross country and swimming during her Bobcats career – as well as serving as an IHSAA basketball referee. A Ball State graduate who hails from Daleville, Franklin moved to Kokomo three years prior to taking the Taylor position so she could be closer to her parents who lived in Delaware County. When she accepted the Taylor position, the program lacked stabilization – she was the fourth athletic director in six years. Each of the three previous athletic directors moved on to larger schools or other administrative positions: Fernung (1998-2004) is now the athletic director at Tipton High School, Wooldridge (2004-2007) is the assistant principal at Franklin Community High School and Hord (2007-2008) is the Taylor Middle School principal. Hartman said a search for a new athletic director will start in early spring with a posting for the position, but until a new AD is hired, Steve Dishon will serve as the interim. Dishon is currently a language arts teacher at Taylor. 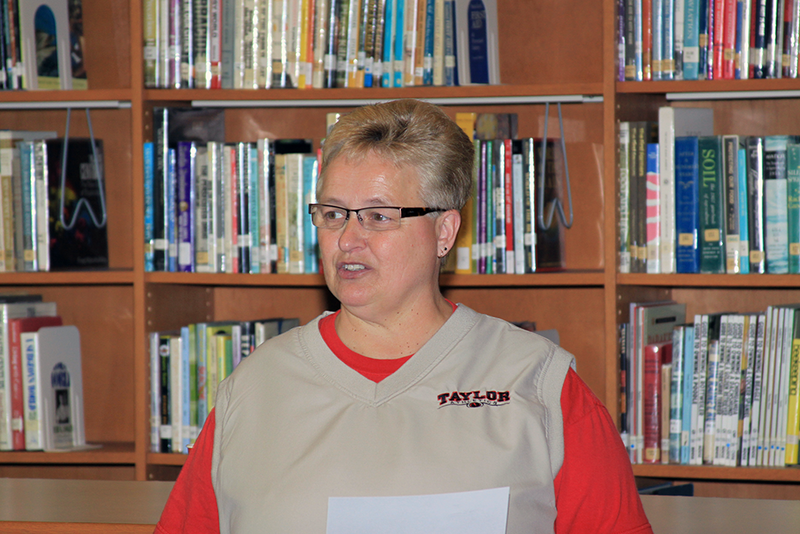 Dishon is a 1989 Kokomo High School graduate and has a long history with the Taylor athletic department. He is currently the Taylor C team basketball coach and middle school golf coach while previously serving as an assistant football and volleyball coach. He also was the academic coach of the state championship Academic Team. 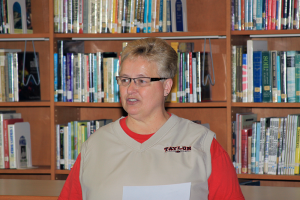 Hartman noted that Dishon will have the complete support of the Taylor administration. Karen Franklin was unavailable for comment for this story. This entry was posted in Taylor. Bookmark the permalink.